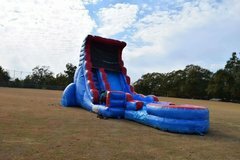 Water Slide Rentals | RuckerFamilyAmusement.com Athens GA.
Water slide rentals can turn a good celebration into a great one on a hot Georgia summer day. 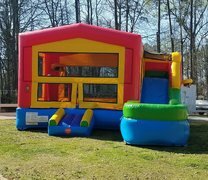 Just add water and kids, and you'll be ready for the best time of the summer! 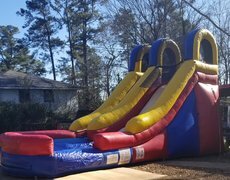 All of our water slides are manufactured from "Lead-Free" vinyl for your child's and your guest's safety. Browse the selections below and click on the image or "More Info" link to get additional information and to make a reservation.